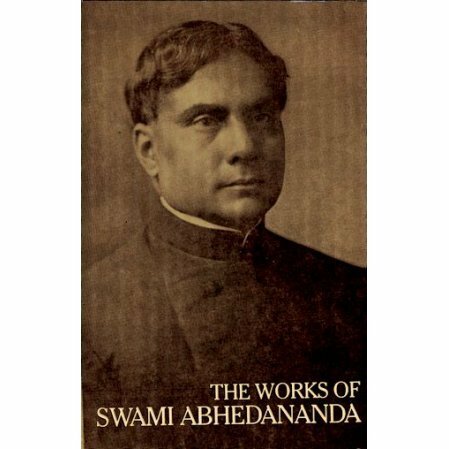 This set is an abridged collection of the writings of Swami Abhhedananda, taken from the massive 11-volume set Complete Works of Swami Abhedananda. Part I consists of the first four volumes of the Complete Works of Swami Abhedananda as abridged by Swami Prajnananda. Part II includes material from Volumes V,VI, VII, X and XI as selected by the same editor. The two books cover 1400 pages! The set has been reduced in price since it was printed 20 years ago and the papers look slightly yellow. The goal of the editor is to expose the reader to the wide variety of writings of Swami Abhedananda as shown in his many books. The paper of this set has turned yellow due to age, hence the discount. We were going to just sell out and discontinue the book, but people like the material so much that we'll continue to make it available.